Hello, my sweet friends! Thank you for partying with us one more week at Two Uses Tuesday. Last week, you guys shared 219 AWESOME creations! You guys rock! Now on to more important things… YOU =) ! Naomi and Sage cracked us up this week with fun crafts and sarcastic how to’s. Ready for Autumn 2016? They have you covered! Got corks? Who doesn’t? Celeste whips up a cute cork pumpkin. Make sure you gather all the corks over the holidays so you can make your own! The Sequin Notebook whips up a sophisticated fall treat, Apple Brie Costini. I love tiny, tasty morsels. Want a custom look with out the custom price? Angela takes us through how she took cheap cubes into a custom cabinet. Don’t Sweat The Recipe is in the Christmas treat making mood. Check out their English Toffee recipe. Make some for gifts and then a bunch for yourself! Not sure what to do with all the hair clips and ties you or the little ladies in you life accumulate? How about a DIY Hair Clip holder? Nanny has you covered! 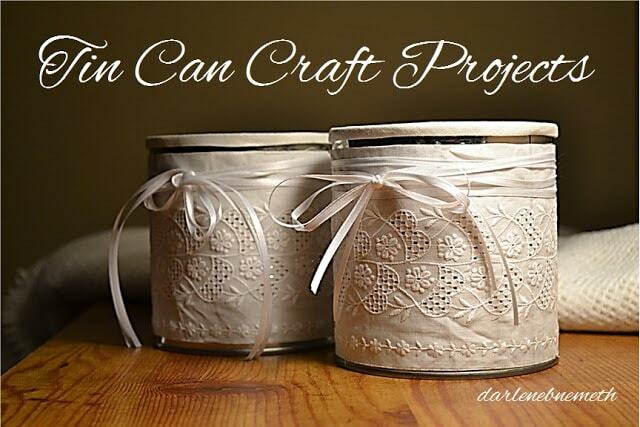 Look what Darlene made out some empty cans, aren’t they gorgeous? Congrats to this week’s featured bloggers! Thank you for inspiring us to create! Don’t forget to brag about it =) Grab a button, tweet it to the world and watch for it on the Two Uses Tuesday FEATURES! board on Pinterest. Follow Sarah Jaskowski @ Sarah Celebrates’s board Two Uses Tuesday FEATURES! on Pinterest. 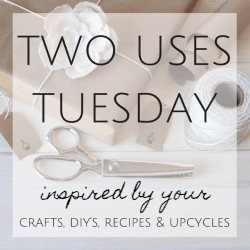 BE CREATIVE & LINK UP – Share up to three (3) up-cycling, re-purposing, DIYs, recipes and craft projects. Original work and posts you haven’t submitted previously, please. COMMENT & CONNECT – Visit two (2) links for every post you submit and show a little love. **Note on Last To Link Feature – Blogger can only hold this spot every other week. If the same blogger links last two weeks in a row, the 2nd to last blogger will get the feature for the week. 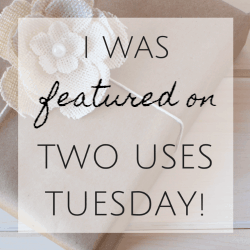 We want everyone to have a chance to shine =) Remember, share & pin the Two Uses Tuesday Features from the bloggers original content. Thank you. 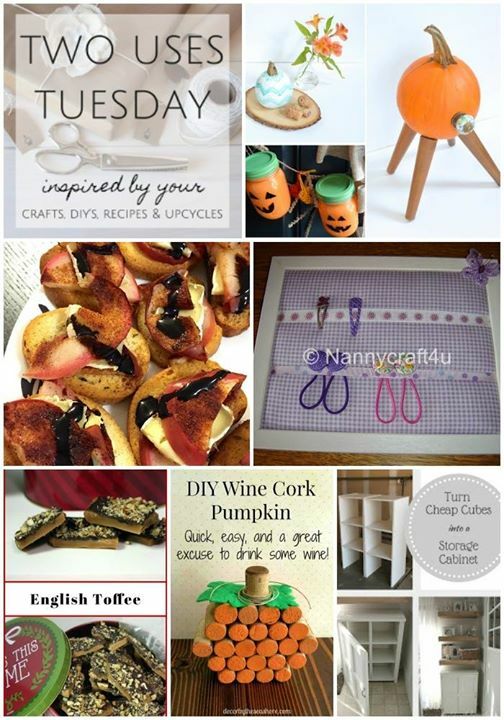 Disclosures: By submitting a link to the Two Uses Tuesday Link Up you are giving the party hosts permission to feature your link/post on our blogs, across social media and future round up posts. This includes images from the linked post as well as linking to your social media accounts. My Sweet Things and all Two Uses Tuesday co-hosts respect you and your work; everything will be properly linked back to you and credit given where credit is due. You earned it! This entry was posted in Proof. Thanks for being part of it, Keri! Glad to have you here, Katrin!! Pili thank you for hosting. It’s always a great party! Thanks for joining the party, Mary! !